compare recommend Please login to access Listmania List. Please login to access Wish List. Please login to access your Gift Registry. 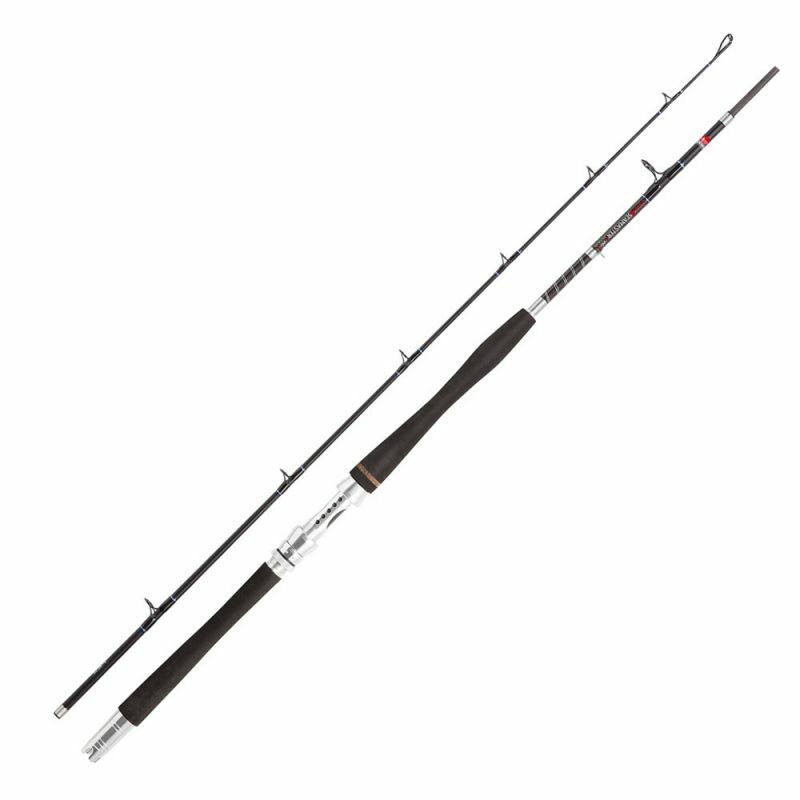 A no-compromise versatile boat rod of premium quality – breaks down in sections of equal length, making it ideal for trips to the north. Equipped with sturdy narrowly positioned rings, metal cross end, reinforced section connectors as well as a powerful and rugged aluminum reel holder that allows for multi- or stationaryreels. A finger slot in the reel holder allows for sensitive finger contact with the bait or fish.